Following a period of extensive due diligence, the bcu board has unanimously recommended P&N as an ideal merger partner to provide long-term strength and stability for bcu and its members. We are confident that the proposed merger with P&N will deliver positive benefits for members, while respecting and preserving bcu's heritage, brand, and values. This opportunity also means we will be able to retain our local stores, local employment, and continue to improve the banking services that we offer members. The positive due diligence outcome means that the bcu board has agreed to proceed to the next stage of the process, which will involve ultimately giving you and other members the opportunity to consider and vote on the proposed merger opportunity. With the merger implementation agreement now finalised, we have chosen to obtain an independent expert report to confirm whether the merger is in the best interest of members. We will also be developing a member information booklet for our members, which will contain all of the details about the proposed merger opportunity. The information booklet will need to be approved by the regulator (APRA), before we issue this to members. While we prepare the documentation, and work with the regulator through the process, it is essentially business as usual for bcu members. At this stage, we are planning to release the member information booklet to members in the third quarter of this year. Members will then have time to review the information and engage with bcu at various in-store and community-based events, before a voting period likely to be in the fourth quarter of this year. As these timings rely on regulator approval they may change, and we will endeavour to keep members informed of this as we proceed. Our industry is facing many challenges, including rising costs, decreasing margins and an increase in required investments in technology and compliance. A merger with P&N would pave the way for a bright future for bcu's brand, stores, local employees, members and investment in the region. This merger would give bcu the opportunity to share the best of each other's products, services and systems. P&N is a Western Australia customer-owned bank. P&N's origins go back to 1969 and its purpose is to enrich the lives of its members and local communities, just like bcu. Our values as an organisation align well with P&N's, which is why we have chosen P&N as an ideal partner to secure a strong and sustainable future. 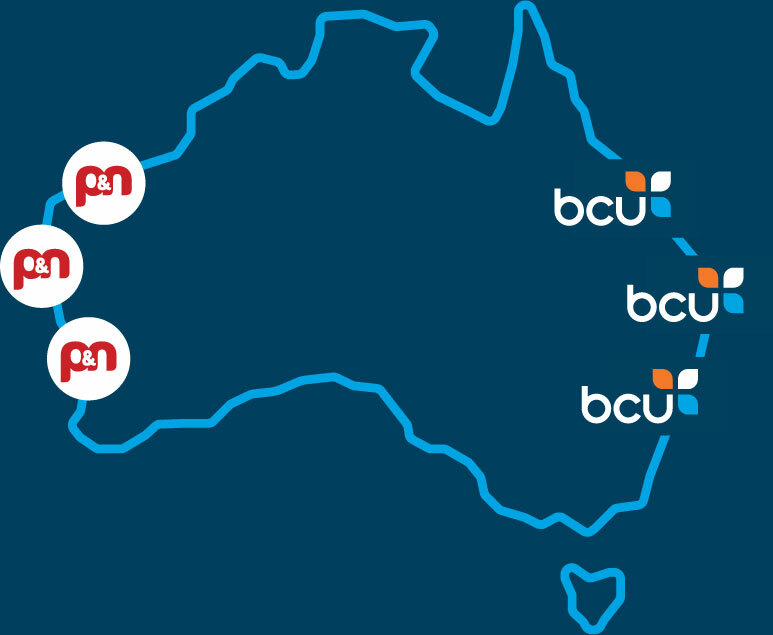 P&N is based in Western Australia, which means that if this merger goes ahead, bcu members and staff would have access to a nation-wide network along both coasts of Australia. This merger would be mutually beneficial to each organisation, with our values and skillset complementing each other. There is nothing members need to do now. Our team will continue to offer excellent customer service at all of our local stores, call centre and via our online digital banking channels. We are continuing to develop services and products that make banking modern and accessible for our members. We will be in touch with more information once we are able to share this.